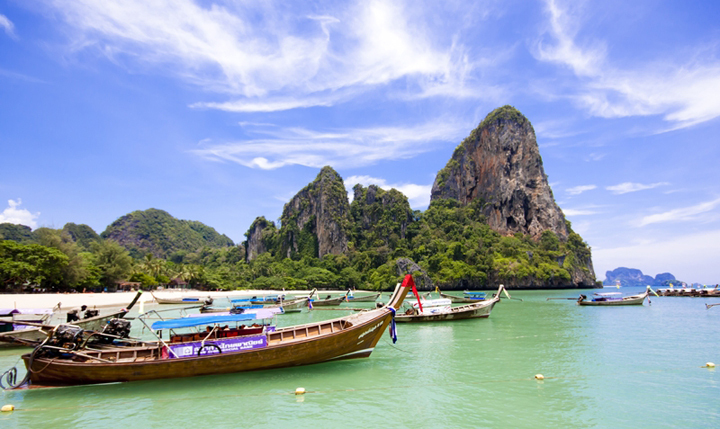 Ao Nang is Krabi’s vibrant tourist centre. It has the relaxed vibe of a small town, the beauty of a beach resort, the modern comforts of home, and the friendliness that sets Thailand apart. The town itself is small; a 30 minutes-long stroll takes you from one end to the other. Given that floating buildings are impractical and sheer cliffs don’t readily lend themselves to development, this paradise won’t be paved over anytime soon. 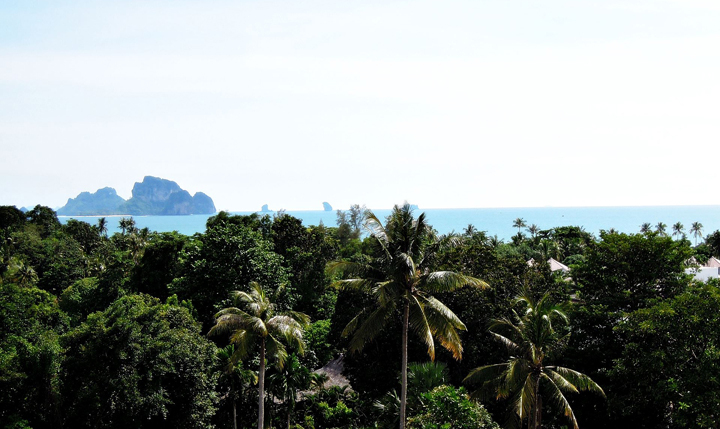 By road, Ao Nang is just minutes from Krabi Town and Klong Muang Beach and mere seconds to Noppharat Thara Beach. Via the sea, Railay’s beaches – including Ton Sai – and a grab bag of small, intimate islands are nearby. Pick a direction and give your waterborne taxi thirty minutes. A world of adventure waits. strange rock formation which looks like the head and neck of an ostrich, chicken or similar member of the fowl family. One end of the island consists of steep cliffs, while the other end has beautiful beaches along a peninsula. At high tide, this peninsula gets flooded, creating a small island. There is no accommodation on Hua Khwan island. Excellent snorkeling opportunities in warm and clear water, rich in coral life. Fossils Shell Beach or Susan Hoi Susan Hoi features a slab farmed from a huge number of embedded various types of molluscs which can be dated to approximately 40 million years ago. Go sea kayaking – quietly glide through shallow water and explore around caves inaccessible to larger boats. Permanent residents include sea eagles soaring above and starfish just below the surface. Limited camping facilities are available although, not easy to book. 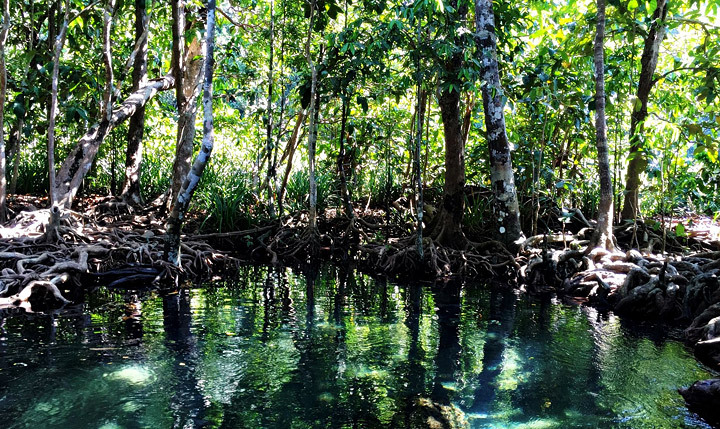 The 200 Baht National Park fee is applicable when visiting this island. If you take a tour, check if the fee is included in the price. 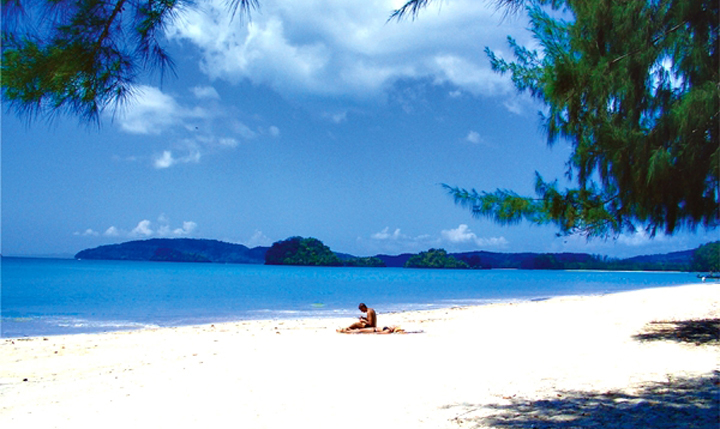 Koh Hong can also be accessed from Koh Yao Islands. 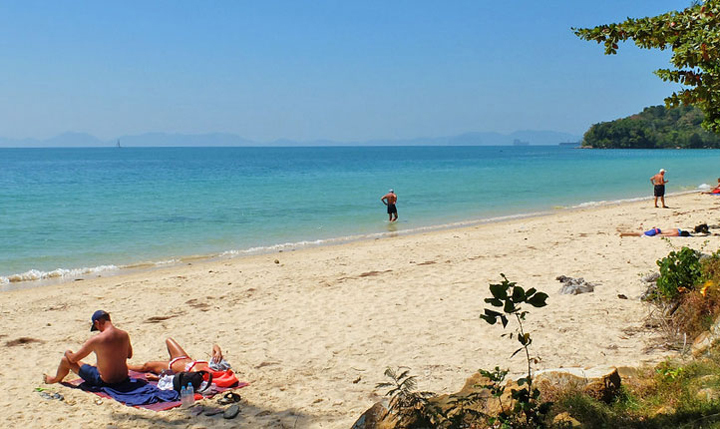 Klong Muang Beach is a quiet area, a place to leave the crowds behind. A few years there was almost nothing here apart from a beautiful beach. Several hotel groups ‘discovered’ Klong Muang at around the same time and now it’s an established upmarket area for five star and boutique hotels with more to come. The local village at the back of the beach is still in its infancy with a few shops, including the obligatory tailor’s shop and a handful of restaurants. 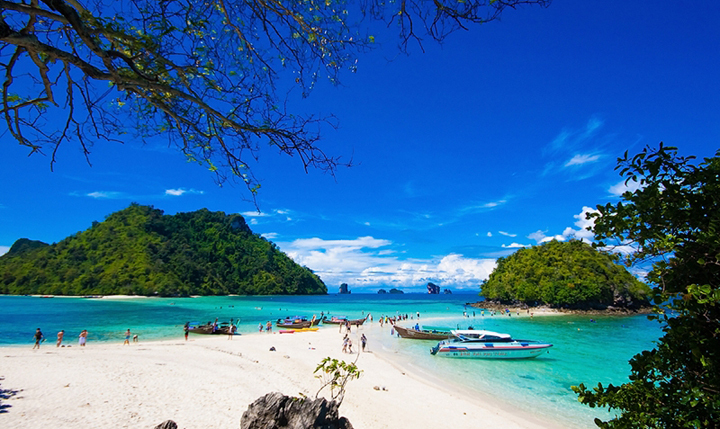 Koh Lanta consists of 52 islands including the largest, Koh Lanta Yai. 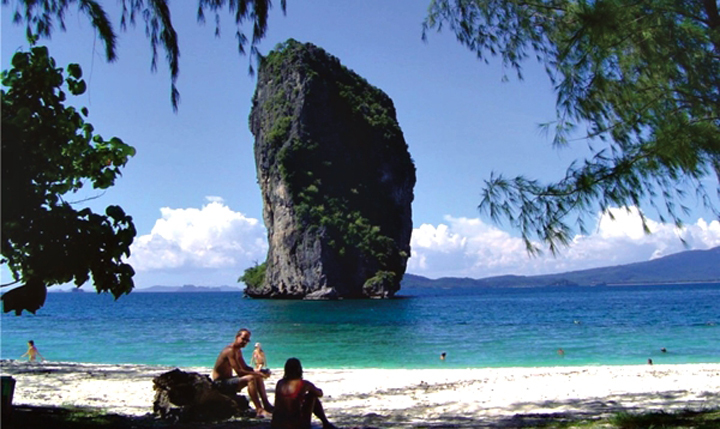 It’s located approximately 70 kilometres from Krabi town. 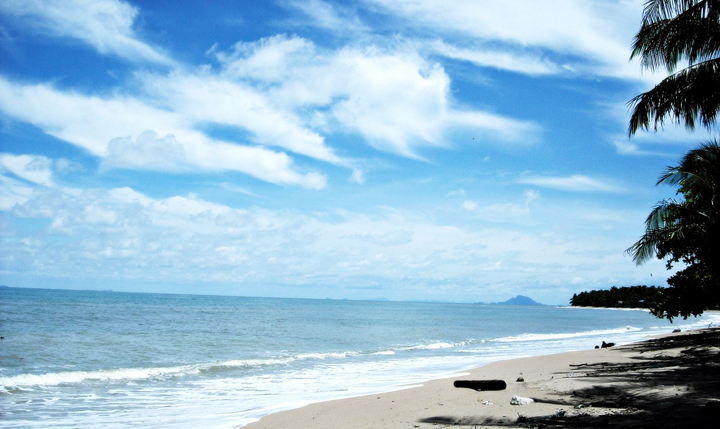 Koh Lanta’s scenic beauty may not quite compete with some other areas in the province. However, if you’re looking for complete peace and quiet away from the bustling tourist areas, with a few home comforts, head for the island of Koh Lanta. Low key development and unspoiled nature are Lanta’s main attractions. Mountainous and rugged in some areas, especially near the southern tip, its green forested hills, gravel and sand beaches, pretty coral reefs, clear emerald water and traditional lifestyle, provide a charming retreat from modern life. Only 20,000 people live on Lanta including a clan of Chao Ley, or Sea Gypsies. This distinct ethnic group still follow their traditional customs and culture. Along with the Muslim and Chinese locals they give the island its unique ambiance. Although more locals are becoming involved in the tourism industry, many remain unaffected by tourism, still earning their living from rubber, prawn farming and fishing. Traditional houses and friendly faces still remain. A little to the south of Koh Lanta lies Koh Ngai, Koh Kradan and Koh Muk which offer stunning beaches, great snorkelling and total seclusion. Located 18 km west of Krabi town and just next to Ao Nang, this quiet beach lies within the Hat Noppharat Thara-Ko Phi Phi National Park and features a 3 kilometre long sandy stretch lined by casuarina trees. A coral reef lies about 20 metres from the beach with a variety of sea life. The irresistible combination of excellent snorkeling, scenery and soft sand make the island a popular choice with snorkelers and day trippers, but surprisingly, it’s not crowded. The superb scenery of the islands includes high hills with jutting cliffs surrounded by marvelous beaches and emerald sea, hiding underneath a bank of coral reefs and colourful marine life which are unrivaled in this whole wide area. 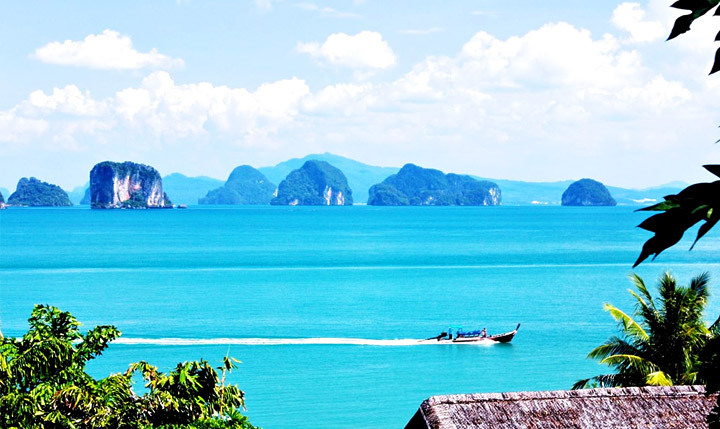 Now on every savvy traveller’s list, Railay is nevertheless one of Thailand’s most sought-after beach areas. Just south of Ao Nang Beach, around a rocky headland and accessible only by boat, Railay presents a tranquil and extraordinary world. In just one small peninsula you’ll find gorgeous white sand beaches, soaring limestone cliffs, viewpoints, caves and a lagoon hidden inside the cliffs, shaped and fed by the changing tides. All within walking distance! At Railay there are no roads; only footpaths. No buses, no cars, just longtail boats. 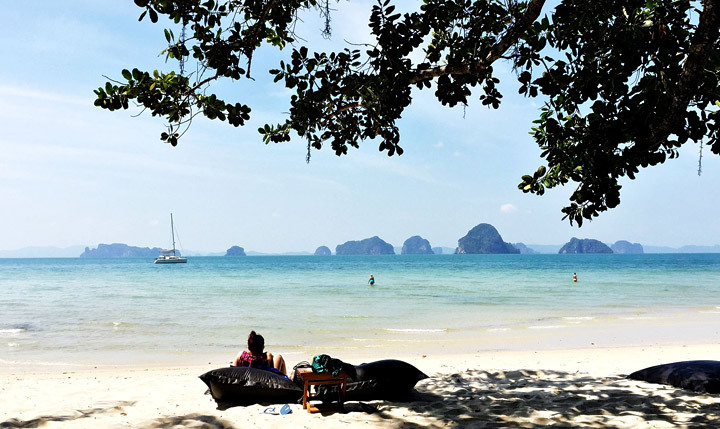 Although it’s actually connected to the mainland, the spectacular Phra Nang Peninsular is effectively cut off from the rest of Krabi by limestone headlands and steep jungle valleys; the only access is by sea. The very picture of tropical paradise, with no roads and no hassle, Railay offers lazy days, adventure forays and chilled-out evenings. 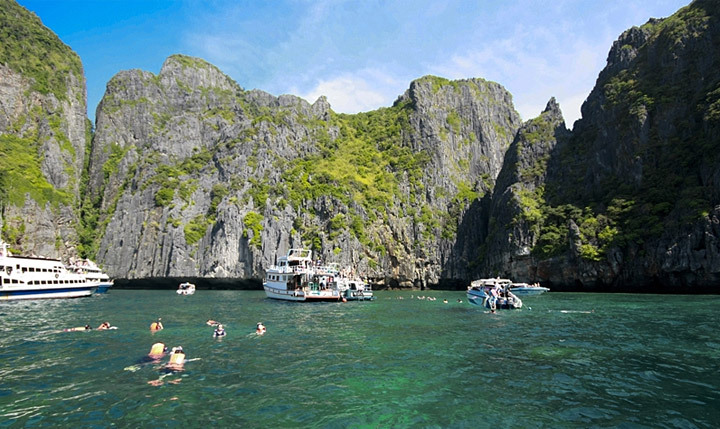 These two islands offer easy snorkeling. If the tide is low, you can walk along the white, sandy causeway from one island to the other. 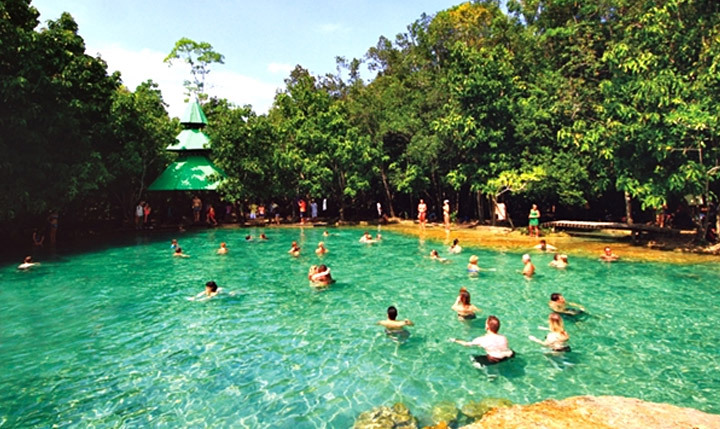 A pond of emerald water among a shady forested area, it is situated in Amphoe Ao Luk, some 45 kms. from Krabi town. Thapom is an unseen place in Krabi, a natural stream setting in the midst tropical forest where freshwater and sea water amazingly meet. 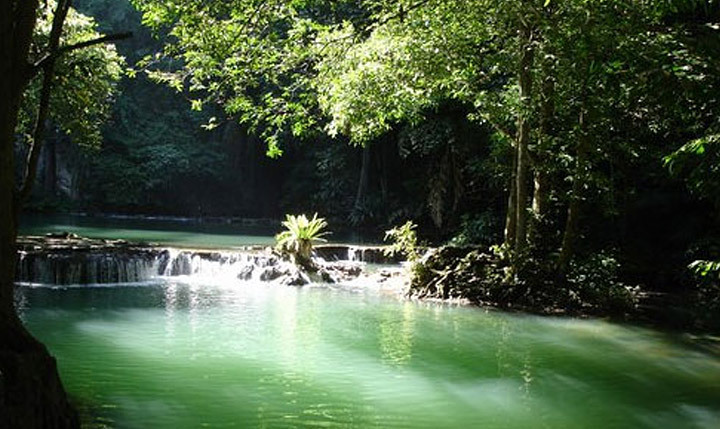 The best natural pool among the nature is located in Klong Thom, lowland forest of Khao Nor Juji. Tubkaak Beach is located north of Klong Muang and it’s quiet, very quiet. So quiet that there are only a few hotels there. You’ll find a long sandy beach and not much else which makes this an ideal place to relax and recharge your batteries. The islands that make up the Ko Hong archipelago can bee seen from the beach. You can get a closer look on a daytrip around the islands. 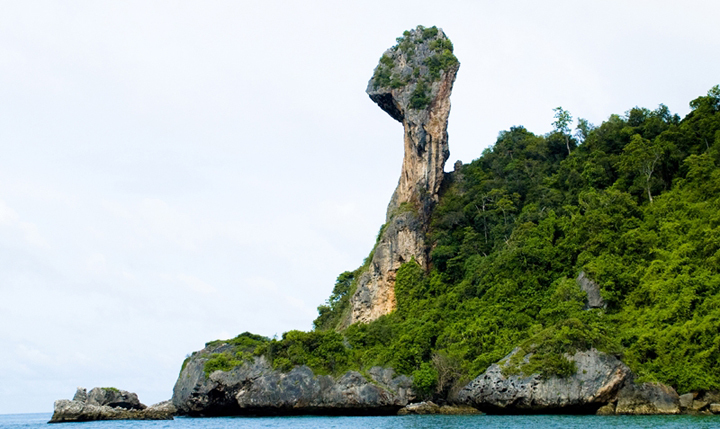 Two large islands (together about 138 sq km) right in the middle of Phang Nga bay between Phuket and Krabi. While fishing remains the predominant economic activity and way of life here, the islands are slowly opening up to tourism. Some innovative, community-driven eco tours and small-scale, mostly family-run bungalows and resorts have been developed. A great place to enjoy nature and get a taste of local culture. 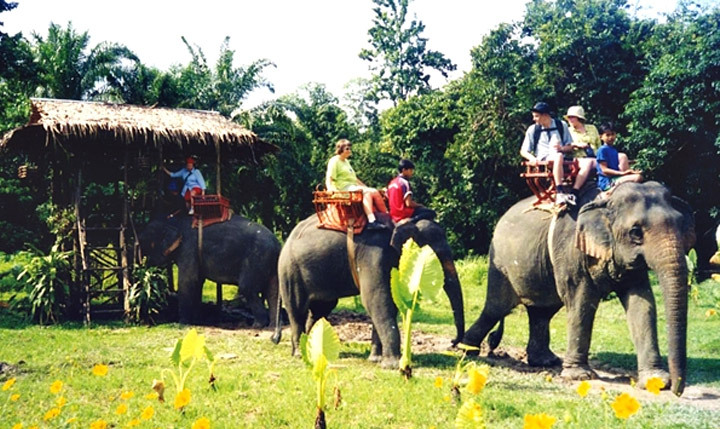 ATV Riding, Biking, Canoeing, Rock Climbing, Elephant Trekking, Fishing, Golf, Horse Riding, Kayaking, Massaging, Scuba Diving, Shooting, Snorkeling, Spa, Thai boxing ,Thai Cooking & Sightseeing Tour.